What are SURE FIRE gaming PCs? 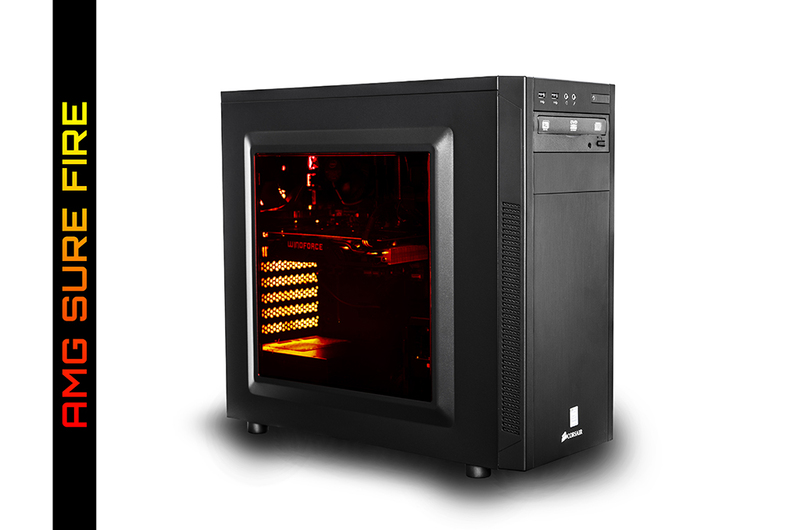 SURE FIRE Gaming PCs are computer systems that are custom built to order. They are built with airflow in mind meaning they are able to perform harder for longer. We take your budget and provide you with as much power as you get in an attractive form factor that your friends will envy. LED lighting can be added with any colour you wish. These colours can be changed at any time with our prism system add on. SURE FIRE gaming pcs give you peace of mind that everything in the system works together and is stress tested before it leaves the lab. This makes them ideal as gifts for your beloved internet warriors. Built with trusted and well branded components throughout, our systems may not always be the cheapest, but reliability and performance are assured. Example SURE FIRE systems with prices. Prices are only to be used as a guide, they will vary on day of purchase. The best deal for your money will be secured when a quote is requested. The systems above are to show an idea on price vs performance. Feel free to use one of these systems as a starting point to help create your own or ask us for a quote on the specific parts you want.